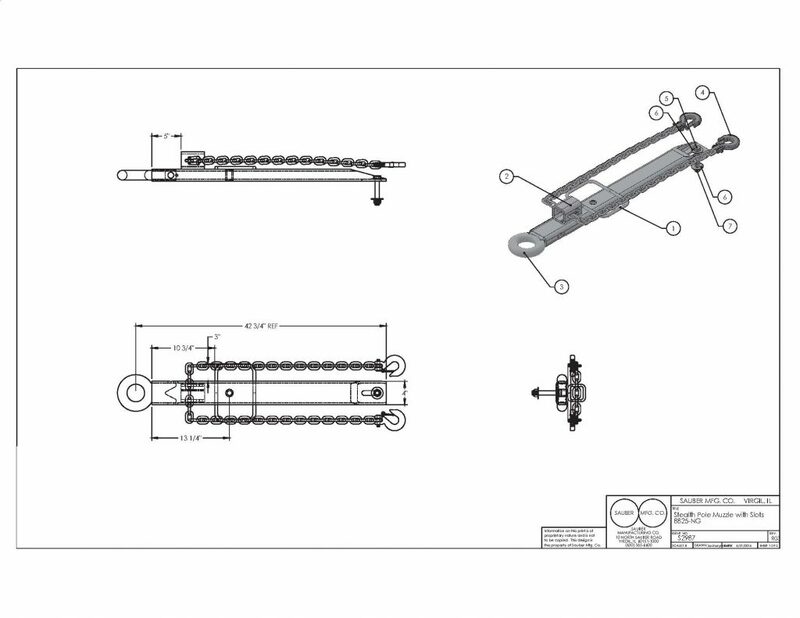 Pole Muzzle - Sauber Mfg. 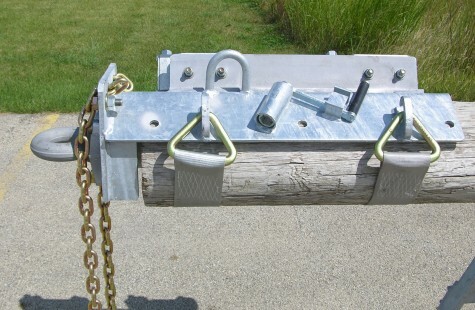 Co.
Our galvanized pole muzzles provide a convenient method for connecting the lead pole to the towing vehicle. 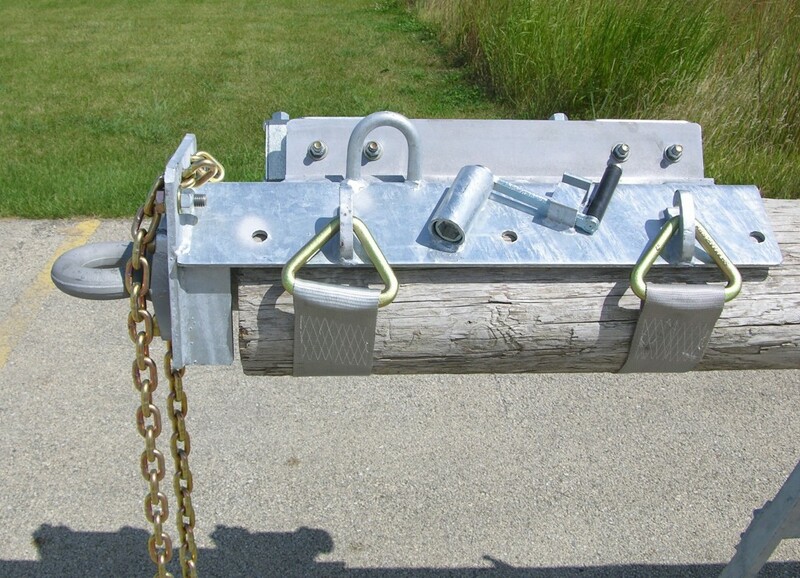 This unit includes safety chains and two methods for securing it to your wooden poles. 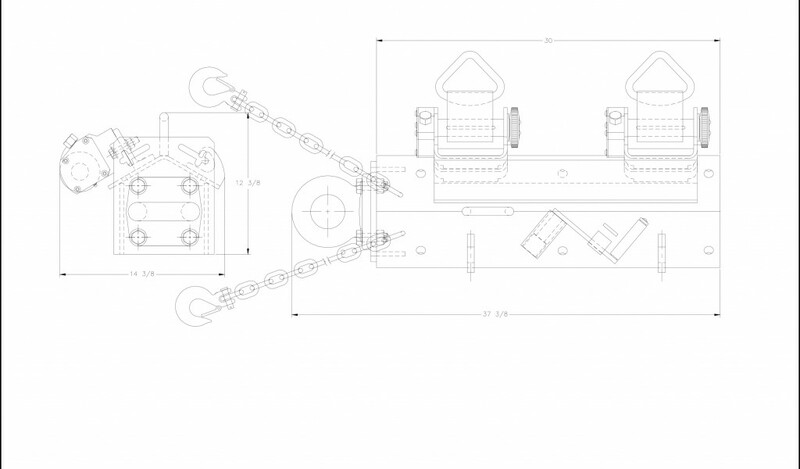 Self-locking, worm drive winches with heavy duty 4″ straps are provided along with holes to allow attachment using customer provided crossarm bolts. 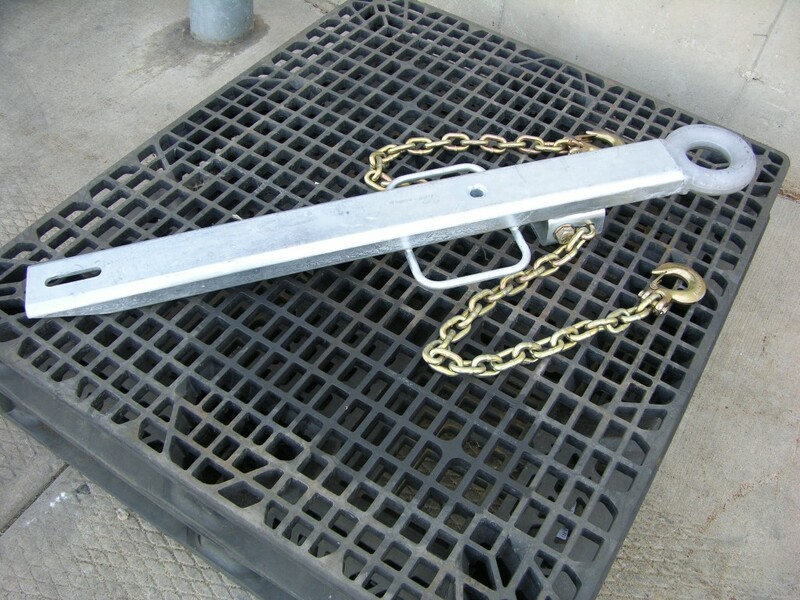 Several styles are available.